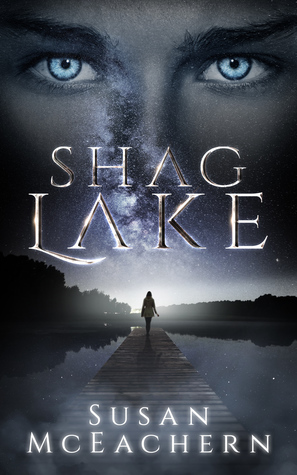 Check out the FREE short story, Shag Lake Prequel: The Kiss here!! Where the hell is it? Why can’t I see it? Keep moving. Don’t look for it. Just go. I’ve run enough marathons to know that distractions, like trying to keep my eye on my opponent, will only slow me down. A guttural shriek slices through the quiet, and I almost lose it, I almost scream, because the shriek came from somewhere on my right. That means two things are chasing me. I save my scream for later because right now I’m locked in marathon mode, concentrating every ounce of my energy on running. The trail is just up ahead, and I push harder, trying to remember when the officers said they would be back. An hour? Two? How long have I been out here? Jumping over deadwood and low-lying bushes, grateful for every second that something doesn’t grab me, I head toward the caution tape like it’s a home-free zone. Whatever is running on my right lets out another violent shriek, louder this time, and I’m not sure if that’s because it’s closer to me or just super pissed off. Clack, clack, clack echoes through the air, the sound of rocks cascading down on other rocks. The noise is coming from up ahead, in the home-free zone of yellow caution tape, where the land ends in a twenty-foot drop-off into the lake. A third thing is in front of me? Illogically, I keep running in the direction of the caution tape, back to the crime scene, back to the path that will lead me to the truck, and praying those two RCMP officers are on their way up here now. I’m almost there; I can see the trampled area of the crime scene and where it abruptly ends at the cliff’s edge. I push myself harder, my lungs burning with the effort. Then something suddenly flies up over the edge of the cliff, as if it had been catapulted. I stop in my tracks so fast I almost break my ankle, and watch in horrified silence as it lands on two steady feet in a slightly crouched position, arms away from its sides and hands balled into fists in a threatening posture. The scream I’ve been holding down finally erupts out of me. My eyes wildly dart in every direction, looking for an escape route. I can’t go forward, I can’t go to the right, I can’t go to the left, and for all I know, some thing is behind me too. Get yourself together, Geri. If I can’t flee, then I have to fight. Gritting my teeth, I raise the rifle into a ready position, swing it left, and damn near drop it when I almost hit a large mass. It’s just standing there, over eight feet tall, wearing a purple tunic with red writing on it. The thing has a symmetrical face covered in scales with a rigid spine running from its forehead to under its chin, with two large nostrils on either side. Deep yellow eyes with vertical slits for pupils ogle me in what I can only describe as cold interest. I barely hear my name being called over the roar of adrenaline pulsating through my ears, but it registers that whatever is crouched by the cliff knows my name. I risk a glance and see a man, naked from the waist up, all rock-hard muscle with sunlight glistening off his wet skin and hair, his chest heaving from exertion. I swing my eyes back to the reptile man, but he’s gone. Just disappeared. Or is he? I couldn’t see him before when he came right up to me and whispered in my ear. “Are you okay?” Sean calls out to me. “Are you hurt?” Despite the odd mix of concern and wariness lacing his tone, I’m so relieved to hear his voice that I’m weak in the knees. I’m not hallucinating. He’s really here. “Geri, lower the gun,” Sean says. “Are you insane?” I scan the area, looking for any sign of it. “Can you see it? I don’t have eyes on it anymore.” Is it behind me now? I pivot, keeping the rifle aimed. There’s a light wind blowing the tall straw grass, so it’s hard to tell if anything else is disrupting it. Suddenly, I’m aware of a rank odor being carried on the breeze. I think maybe the smell has been there for a while but was drowned out by the rush of adrenaline. “Absolutely nothing is going to hurt you.” The clear underlying threat in Sean’s tone does nothing to calm me. It only confirms that I’m in just as much danger as I thought I was. Keeping my rifle aimed, I shuffle my feet to do a full sweep around me. Where the hell did it go? It finally registers that he’s not going to come to me. He’s been standing in the same aggressive stance, using the same threatening tone ever since he flew up over the side of the cliff. And he’s talking to me as if I’m a hostage who has a shot at getting free of her captor if I do everything right. I don’t know what Sean is doing here at the very moment I need him, at the very place two young women were terrorized and one went missing, but right now I trust him way more than whatever is stalking me. 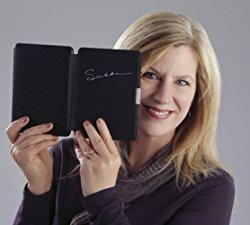 Award winning author S.M. McEachern (also known as Susan) attended Dalhousie University in the 1990s where she earned an Honours Degree in Sustainable Development Studies, specializing in ocean resources. With a background in international development and resource management, as well as being the wife of a military officer, Susan has had first hand experience in international affairs and policies. She attributes Elizabeth Mann Borgese--daughter of Nobel prize winner, Thomas Mann--as one of the greatest influences on her view of world politics. Susan had the privilege to work and study under Mann Borgese, an author, teacher and political activist for world peace. The first book of a series, "Sunset Rising", combines Susan's knowledge of politics and resource management with her love for Young Adult literature and action and adventure. The second book of the series, "Worlds Collide", was published March 2014. The third book, titled "New World Order" was released January 2015.